The Unatego Central School District is a consolidation of the Otego and Unadilla Central Schools. Each village has its own elementary school but the junior and senior high school grades are in a single building approximately half way between the two villages. 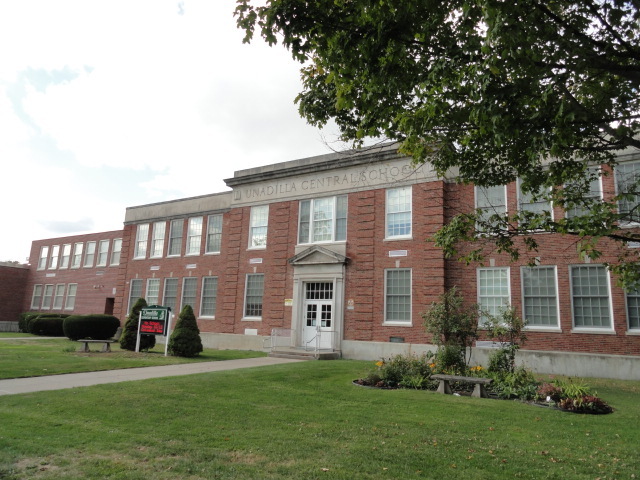 The school district has shown an increasing willingness to open its doors and facilities for use by the community and other community groups. The Unadilla elementary enrollment is divided among 24 classrooms with seven special purpose rooms (art, music, computers, etc.). Class size ranges from 18 to 24 students with a student-teacher ratio of 12 to 1. The present Unadilla elementary school is now able to handle a modest increase in the elementary enrollment if it develops. 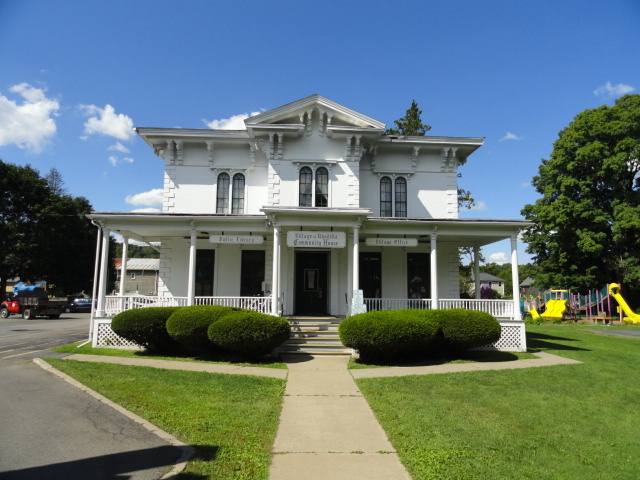 Donated in 1921 and a prime example of the village's architectural history, this two-story building houses the office of the Village Clerk and Treasurer, the library and public meeting rooms. All village business, including public meetings, is conducted here. Fire protection and emergency services in the village are provided by volunteers with funds from private donors, contract fees and village taxes. The Fire Department offers mutual aid to neighboring areas. As new requirements, training needs, and responsibilities have emerged, the Fire Department needs additional volunteers. An E-911 system is currently in place for Otsego County and will help make emergency response time quicker. Police service is provided by New York State Police (Troop C in Sidney) and by the Otsego County Sheriff (Cooperstown). There is a Disaster Evacuation Plan for major transportation corridors that is reviewed every year by the Fire Chief and village officials. A mayor and four trustees govern the village, each serving a two-year term. The village has a library board, a planning board, a zoning board of appeals, a parks commission, each with five members, and a zoning enforcement officer. The new Fire House meeting room is used for public meetings.